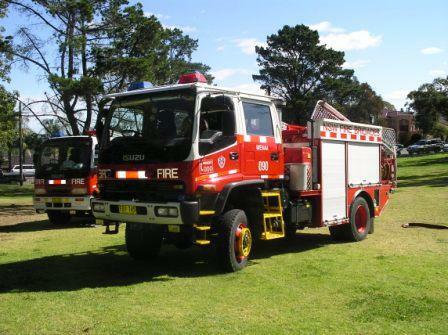 This is a New South Wales Fire Brigades 4X4 Composite pumper used for Bush fire fighting the tank capacity is 3000L the body is Australian built by Mills Tui and the crew is 6 people. The truck is a Isuzu FTR750 crew cab. Added by Scoooooooty on 22 April 2008.